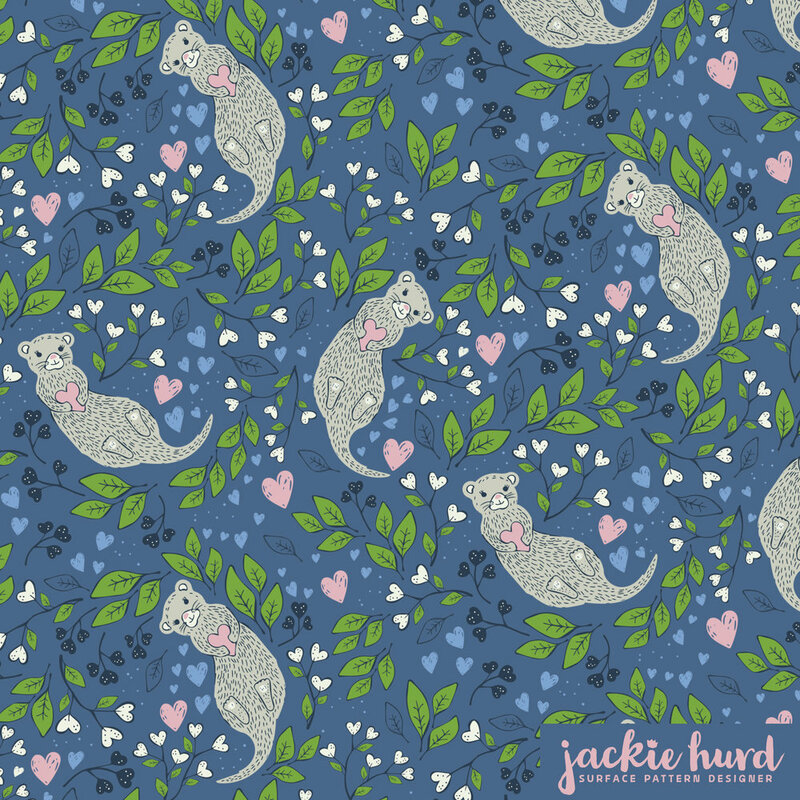 Back in 2016 I created a fun little pattern that I called Significant otter that featured a happy blue otter clutching a pink heart, I redid the design last year (2018) because I loved the otter but didnt feel like the pattern had a good flow to it. When I changed the pattern I also changed the color of the otter. Then this year (2019) I decided to bring my otter back into the spotlight and make it into a pin so here it is! With another color change. Now she’s white and with a touch of blue. I just love this little pin and I’m expecting she’ll be a hit in my Etsy shop. It’s fun to bring old designs back and make them new again. This is the latest version of my Significant Otter pattern, redesigned in 2017. Available for purchase in my Spoonflower shop. Originally created in 2016! This is my original significant otter design. It’s available for sale in my Spoonflower shop.